The November release of Uncharted 3: Drake’s Deception is fast approaching, and it’s become clear that the developers of the hit game franchise are going all-out when it comes to tie-ins for the third installment of Nathan Drake’s globe-trotting adventures. 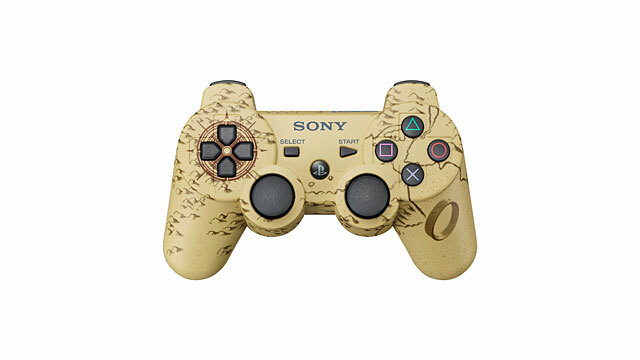 Over at Kotaku, they have an early peek at the limited-edition Uncharted 3 control pad that will hit shelves in Japan on November 2, the same day the game is released there. It’s worth noting that there’s no indication whether the control pad has any protection against sand, water, impact, or lost tribes of angry warriors intent on protecting their treasures from snarky adventurers — so keep that in mind. While there’s currently no release date for the control pad in the U.S., there’s a good chance it will find its way to Western shelves around the same time.